It doesn’t take a specialist in political science to tell you that Donald Trump’s one year and 12 days in the Oval Office has been divisive. 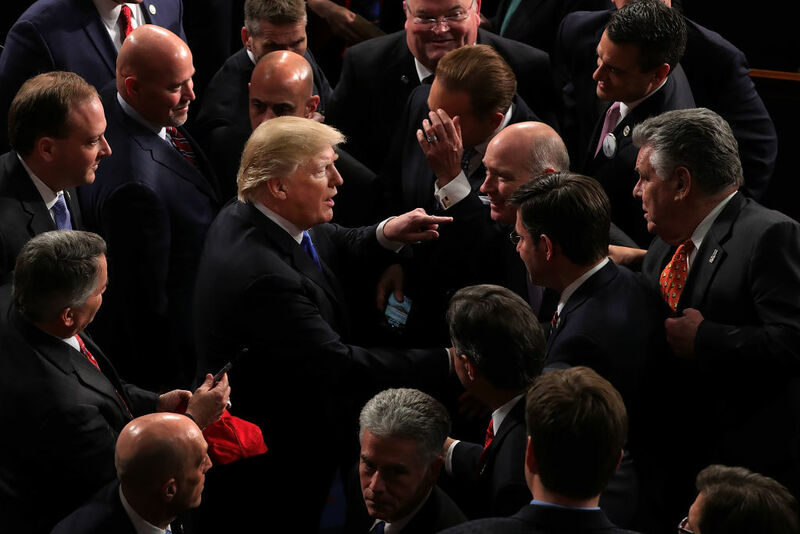 While he was able to win over the majority of Congress with the his State of the Union speech, such as the Republican party – whose collective morality is decaying with every waking moment – there was still a vocal and ever-present section – namely Democrats – who weren’t buying into what Trump was selling. 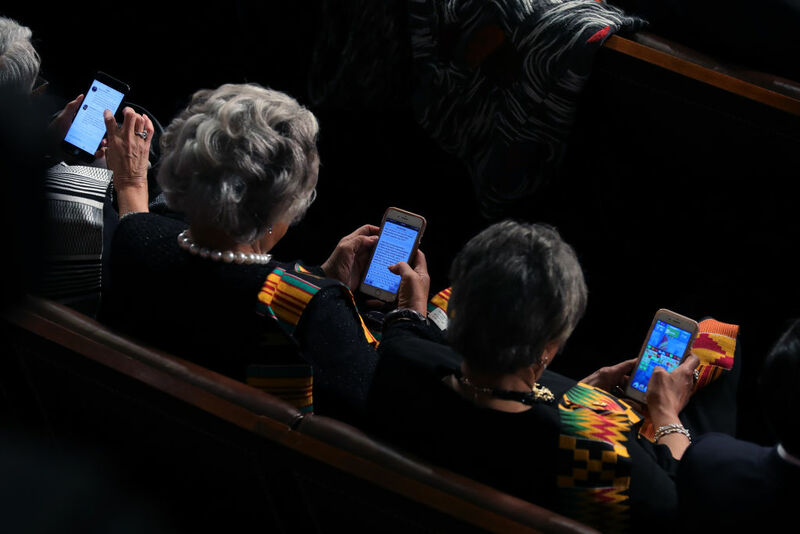 This apathy could not be more evident after one Democratic congresswoman was photographed playing Candy Crush on her phone while Trump was giving his all-important speech. 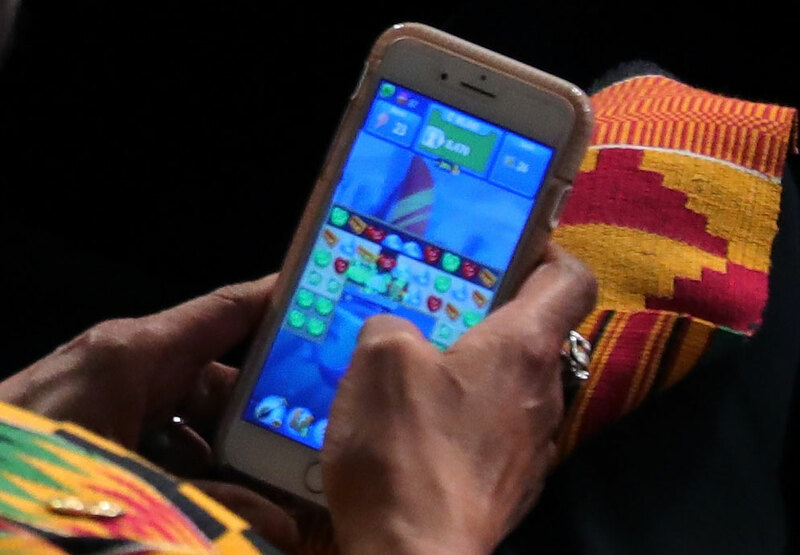 Brenda Lawrence, Representative for Michigan, was far too busy on her phone attempting to be her top Candy Crush score to pay attention to whatever drivel was coming out of the president’s mouth. In Lawrence’s defence, while one could argue that it is rude to be on your phone whilst someone is talking to you, we all know how addictive Candy Crush can be. It’s so addictive and life-consuming that in 2016 a woman stabbed her husband because of it. The era of economic surrender is totally over. From now on, we expect trading relationships to be fair and, very importantly, reciprocal. Lawrence wasn’t the only politician not paying Trump the attention which he so desperately craves. New Jersey Rep. Bonnie Watson Coleman was preoccupied on Twitter where she was reading responses to an earlier Tweet she sent out in regards to Trump’s alleged ‘white nationalism’. Meanwhile, Ohio Rep. Joyce Beatty was spotted sifting through a pre-drafted press release in response to his State of the Union speech – despite him being barely a third of the way through it. While Lawrence, who boasts she is ‘the only Member of Congress with the experience of a full career in the Postal Service, and Coleman were unavailable for comment, a spokesperson for Beatty revealed that she already knew what Trump was going to say. That State of the Union is put out an hour in advance so Democrats and Republicans can read along. 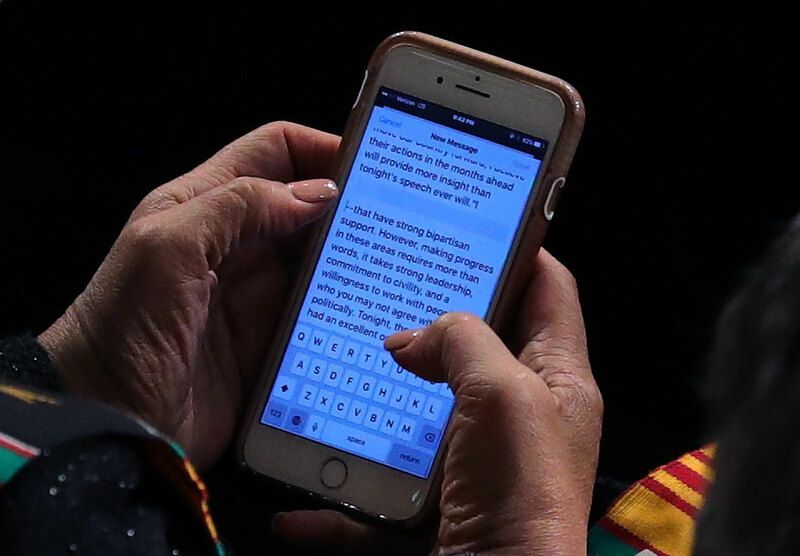 And while the speech was going on, she was putting together a statement in response. 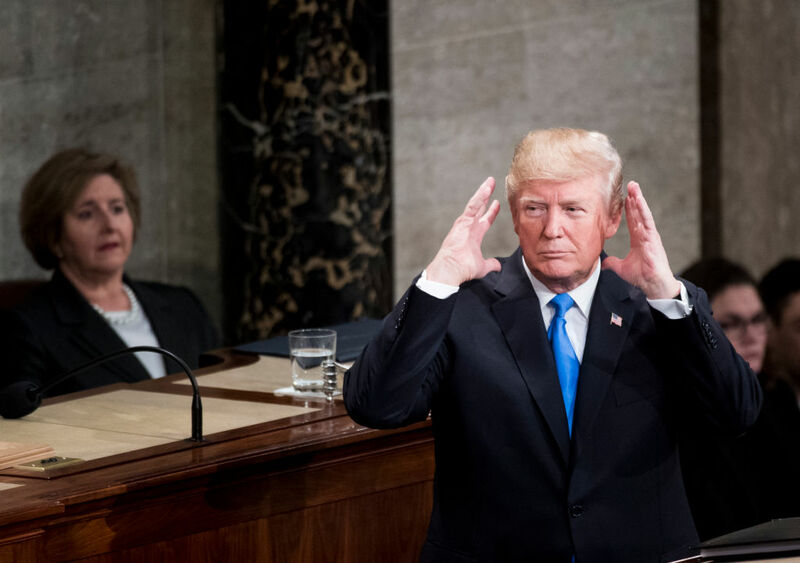 Following his State of the Union speech, Trump claimed the 45.6 million viewers who tuned in to hear him speak was the ‘highest in history’. However, according to The Guardian, while the number was accurate it turns out previous presidents’ addresses to Congress have actually been much higher. For example, his predecessor Barack Obama (who Trump absolutely loves) gained 52.4 million viewers in his first year in 2009 and 48 million the year after. Of course, this wouldn’t be the first time Trump has fudged the numbers about his overall popularity as POTUS, one only needs to be reminded of the remedial turnout for his inauguration last year. But despite the true figures revealing Trump’s short-comings chances are he and his supporters will to label this as #FakeNews.